This is my first mosaic sea creature I tried. 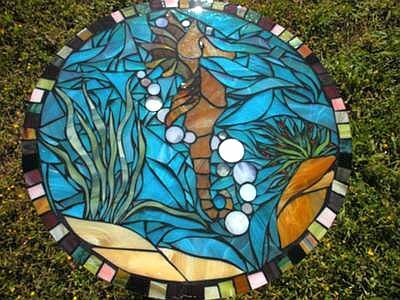 Petey the mosaic sea horse, made with stained glass. I am happy with the way it came out!